Being a Kapamilya, one of the show that I got to enjoy during the holidays was the one with two of my favorite local artists - Bea Alonzo and John Lloyd Cruz. 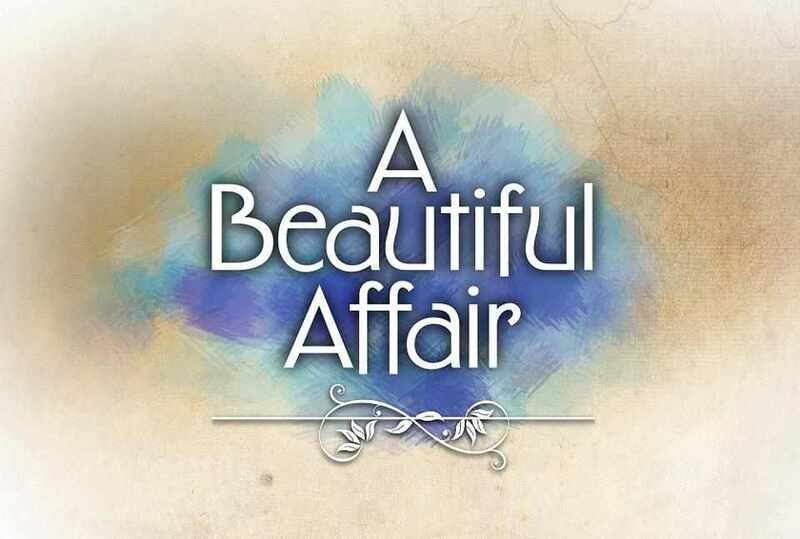 And even though, their show isn't as huge as "Walang Hanggan", I still think that the story and how A Beautiful Affair unfolds its story is great and worth some watching time. I seriously cannot believe that the show is about to end in a few days, and I seriously cannot believe too that the people didn't bought it that much - but despite of that the show is offering a nice souvenir of its great story and Bea and JLC's 10th-year anniversary of their love team - La Promesse or The Lockheart Bracelet. Karat World, one of the country's leading local jewelry brand, celebrates the romance between on-screen tandem John Lloyd Cruz and Bea Alonzo with “La Promesse”, a new bracelet designed for the primetime hit A Beautiful Affair. This elegant piece of jewelry plays an integral role in the drama series, both as a part of the plot and as a symbol of true love. 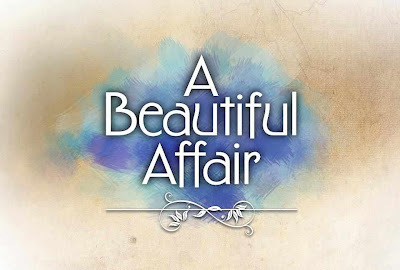 For those who didn't catch the show, A Beautiful Affair tells the story of Leon and Genevieve, two lovers separated by circumstance and tradition. After a year, Leon hopes to reignite their romance by traveling from Europe to the Philippines in search of his lost love. Before departing, he purchases La Promesse as part of his vow to win Genevieve’s heart anew. La Promesse is a silver bracelet that features a clasp shaped like a lock with a heart-shaped hole at its center. At the other end of the bracelet is a key, which enters the clasp and closes the loop. When worn, La Promesse becomes a visual metaphor for how the beauty of commitment opens the doors for genuine, complete, and never-ending love. 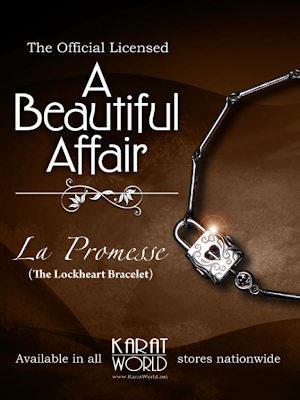 As Leon and Genevieve is about to close the chapter of their story, fans of the show can now pursue their own vows of commitment by availing of La Promesse at Karat World. Available in Karat World SM Mall of Asia, Robinsons Place Manila, Robinsons Galleria, SM City North Edsa, SM South Mall, SM City Taytay, Sta. Lucia East Grand Mall, SM City Pampanga, Ayala Marquee Mall, SM City Cebu, SM City Bacolod, Robinsons Place Bacolod, Robinsons Place Iloilo, SM Delgado Iloilo, SM City Iloilo and SM Lanang Premier Davao, La Promesse is offered for Php2,500.00. And yes, I already have one, but, no, I'm not planning to give it to someone YET. Hahaha! Read between the lines! Hahahaha!